How will Artificial Intelligence shape the next decade? Will this revolution be a positive force, spurring global growth and improving lives around the world? Or will the benefits flow heavily to those who already have the knowledge and wealth to use these revolutionary technologies? Edie Lush and Claudia Romo Edelman pursue those questions around the world. They speak to an author of a major United Nation’s report who says that AI will spur global growth more than earlier innovations like steam power. But who benefits from that growth will be shaped by how well Africa, Latin America and the rest of the Global South absorb and adapt these powerful tools and manage the inevitable disruptions to work. 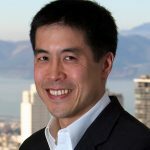 “In some ways, the Luddites weren’t wrong,” says the co author of the report, Michael Chui of McKinsey. In other words, AI can either help achieve the Sustainable Development Goals or move them out of reach. To understand what is already being done in Africa, Edie and Claudia speak with two African experts, Nathalie Munyampenda of the Next Einstein Foundation and Abdigani Diriye from IBM Research in Nairobi. They stress the importance of Africans developing African solutions to solve Africa’s challenges. “The conversation really needs to be around how we can effectively use artificial intelligence to improve the human condition and how we can prepare ourselves and the next generation,” says Diriye. Two special guests cite one basic challenge: inclusion. Christopher Fabian, innovation expert from UNICEF, and Rosemary Leith of the World Wide Web Foundation, note that half the world is not yet on the internet. Those who are not connected do not and will not have access to the powers of AI. This episode also features a conversation about the gig economy with Jennifer Rademaker, Executive Vice President of Global Customer Delivery at Mastercard, the sponsor of Season Two of the Global GoalsCast. Special Guest Julia Streets, a comic in London and host of the DiverCity Podcast, recommends facts and actions for this episode. You will also hear from Ann Cairns, the executive vice chair of MasterCard, sponsor of this season of The Global GoalsCast. A research engineer, she was the first woman to work an oil rig in the North Sea. Edie and Claudia also try their hand at comedy, which is why they are sticking to podcasting. Abdigani Diriye is from Somalia and did his schooling in the UK where his curiosity led him to the sciences. Currently, as Research Manager with IBMResearch Africa, Abdigani’s team is developing new approaches to securely mine, model and score individuals who are applying for a loan identifying the right amount of credit and appropriate products. Last year, they developed a machine learning approach that leverages new data sources (mobile phone behavior) to evaluate the financial profile and credit score of hundreds of millions of people in Africa. This technology was deployed in East Africa and now is being used to credit score millions of people so they can access financial services through their phone. He is also currently working on conversational agents and deep learning techniques to personalize content relevant to people’s context. He is a Fellow with the Next Einstein Forum and believes science, technology, mathematics and engineering are fundamental to addressing the challenges facing Africa. Dr. Michael Chui is a partner at the McKinsey Global Institute (MGI), McKinsey’s business and economics research arm. He leads research on the impact of disruptive technologies and innovation on business, the economy, and society. Michael has led McKinsey research in such areas as data & analytics, social & collaboration technologies, the Internet of Things, and artificial intelligence, robotics & automation. Michael is a frequent speaker at major global conferences, and his research has been cited in leading publications around the world. As a McKinsey consultant, Michael served clients in the high-tech, media, and telecom industries on strategy, innovation and product development, IT, sales and marketing, M&A, and organization. He is also a member of the board of Asia Society Northern California and the Churchill Club. Nathalie Munyampenda is the NEF’s Managing Director. She ensures the smooth implementation of the NEF impact work plan and provides day to day leadership of the NEF team. Nathalie also manages donor relations and resource mobilization, and leads the NEF’s communications and public engagement efforts. 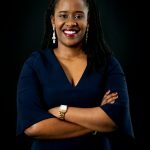 Prior to joining the NEF, Nathalie worked in the Canadian public service and international social media consulting before working to build the Government of Rwanda’s central communication unit as coordinator in the Office of the Government Spokesperson. She holds a Bachelor’s degree in International Development and Globalization from the University of Ottawa and is currently completing a Master’s degree in Strategic Communications from Seton Hall University. Rosemary Leith is Founding Director of the World Wide Web Foundation. She is a Non-Executive Director of YouGov plc, an international online Market Research and Data Analytics company, and also currently advises and invests in a number of technology businesses in Europe and North America including those operating in the Data Analytics, Internet of Things and Financial Technology arenas. She is a Trustee of the National Gallery (London) and a Fellow at Harvard University’s Berkman Center for Internet & Society, most recently authoring an Executive Education Course for Board Chairs and Non-Executive Directors on CyberSecurity. She has been the Chair of the World Economic Forum Global Agenda Council on the Future of Internet Security and is a member of the Advisory Boards of Infinite Analytics (Boston and Mumbai), Glasswing Capital (Boston), a Member of Raspberry Pi Foundation (overseeing commercial operations of Raspberry Pi), Queen’s University School of Business, Canada, Wolfson College, Oxford and University of the Arts London. Christopher Fabian co-created and has co-lead UNICEF’s Innovation Unit in New York since 2007. Working with UNICEF’s 135 country offices, the Innovation Unit’s research and development priorities focus on near-term challenges in the world’s most difficult operating environments. The Unit also crafts strategic options for innovation on a three-to-five year horizon. The Unit’s accomplishments have garnered global recognition, notably: Top 50 Innovations of 2011 from Time Magazine, and, in 2012, gold and silver IDSA awards, and a Redhat prize for being one of the three top open source projects. 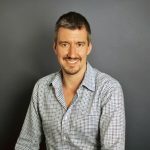 Christopher believes that technology is not the end-product of innovation, but a principal driver of new ways of thinking about development problems. The Unit’s commitment to open-source engagements, determination to learn from failure, and realization that local talent must be front-and-center in creating successful local solutions has positioned UNICEF as a global leader in innovation. Jennifer Rademaker is Executive Vice President, Global Customer Delivery for Mastercard. 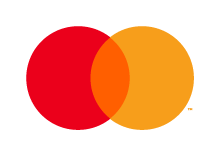 In this role, she is responsible for the end-to-end technical implementation of Mastercard’s products and services worldwide, including leading the Product Delivery, Market Delivery, Product Integration, Customer Implementation Support, and Technical Account Management teams in North America, Europe, Latin America, Middle East & Africa, and Asia Pacific. In her previous role, Jennifer was responsible for the Product Sales, Product Delivery and Technology Account Management teams in the United States and Canada. 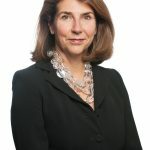 Prior to joining the North American Market, she led the Core Products group for MasterCard Europe. Abdigani Diriye: 00:01 I think the conversation really needs to be around how we can effectively use artificial intelligence to increase the human condition and how we can prepare ourselves and the next generation. Michael Chui: 00:16 Populations of software engineers, data scientists is often overly male and pale and so that population developing the systems can have blind spots in terms of the systems that they create. Chris Fabian: 00:27 We can pull a school out of a satellite image, for example, in in Liberia where we can see through machine learning where schools are and that lets us understand where to send equipment, supplies, material and teachers in a way that we wouldn’t if we didn’t have that data. Rosemary Leith: 00:40 Inclusion is in every single Sustainable Development Goal. Edie Lush: 00:50 This is the Global GoalsCast, the podcast that shows how we can change the world. Claudia R E: 00:56 This episode, the revolution in artificial intelligence and what it means for the Sustainable Development Goals. Claudia R E: 01:11 But whether that happens is really up to all of us, which is what we will discuss precisely in this episode right after we thank the sponsors whose intelligence makes it possible for us to be here. Claudia R E: 01:43 And also thanks to CBS News Digital and to Harmon, the official sound of the Global GoalsCast. Claudia R E: 02:24 Dating apps and food delivery really are first world uses, don’t you think Edie? But both the challenges and the opportunities of AI are global. Edie Lush: 02:32 In fact, we decided to do this episode after a global report warned there could be worsening inequality both within countries and between countries as a result of AI, unless artificial intelligence and its uses are integrated into countries in the global south, not just the highly developed tech savvy countries of the global north. Claudia R E: 02:55 You interviewed one of the authors of that report didn’t you Edie? Edie Lush: 02:58 Yes. Michael Chui and we’re going to hear from him later. I also spoke to my friend Rosemary Leith. She’s the co-director of the Worldwide Web foundation along with her husband Sir Tim Berners Lee, who invented The Web. Later we’re going to hear her boil down to one word the challenge of achieving the SDG’s in the age of AI and Claudia, you are going to like this word. Claudia R E: 03:21 Oh, what is that word then? Edie Lush: 03:22 The word is inclusion. Claudia R E: 03:23 Oh yeah, and as we say, here are the global goalscast the world is already diverse. We just need to make it more inclusive in order to achieve equity. Edie Lush: 03:32 Exactly and in AI that means getting out of Silicon Valley to find out how things look from other perspectives. To do this. I sought out two experts in Africa. Nathalie M: 03:45 A lot of the discussion around the SDG’s is how do we help Africa’s cheapest cities, but there’s a lot of very innovative and interesting things that are happening on the continent and because the continent does not suffer from legacy systems, there is really an opportunity to have immediate impact. Edie Lush: 03:59 That is Natalie Munyampenda, who is managing director of the Next Einstein Forum. They believe the next Einstein will be from Africa and they’re doing everything they can through education and training to make that happen. She really emphasized the importance of solutions developed in Africa by Africans for African challenges. She introduced me to Abdigani Diriye who works at the IBM research lab in Nairobi and he captured the difference between how AI is often talked about in the global, north and south. 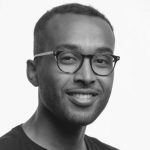 Abdigani Diriye: 04:34 I think the conversation really needs to be around how we can effectively use artificial intelligence to improve the human condition and how we can prepare ourselves and the next generation. I think that the impending problem of premature de-Industrialization is one that I think the continent has to definitely be mindful and keep a very close eye on simply because as we jump from industrialization straight into services automation becomes ever more possible. Claudia R E: 05:12 Edie. That’s a new phrase to me. Premature de-industrialization, that means wiping out industrial jobs before a country’s ready for the transition. Is that correct? Nathalie M: 05:28 We have to be thinking about the future of work and so will we need 500 plumbers in the future. So there are many things that we need to be thinking about today, but from a more a holistic system. So if Rwanda decides that it’s going to specialize in high end research in healthcare, what does the type of engineers the the amount of engineers you will need thethe specialized researchers, you will need all the other parts and saying, okay, which part of this will be disrupted by AI if we look at it from a global perspective? I think finally, from my perspective, there really needs to be, sometimes governments can be overwhelmed on the content because you’re receiving feedback from the IMF, you’re receiving feedback from the World Bank, everybody’s telling you how you should be doing your business. New Speaker: 06:44 And in fact didn’t that global report say that AI will affect every one of the Sustainable Development Goals one way or the other. Edie Lush: 06:50 It is one of those disruptive challenges that touches on everything else. It seemed to me quite similar in the way to climate change. Unless you address it, you can say farewell to achieving the Global Goals. New Speaker: 07:04 This report was from one of the UN specialized agencies that you don’t hear a lot from, the ITU or International Technological Union – a powerful group that sets specs for communications and Internet technology. They, the ITU, commissioned Mckinsey, the consulting firm to look at how AI will ripple through the global economy. Edie Lush: 07:24 I spoke with one of the authors, Michael Chui from the San Francisco Mckinsey Office. Edie Lush: 09:01 Chui says there’s already a gap between those better prepared to use AI and those that aren’t. Michael Chui: 09:06 The leading countries, which in our modeling are the richer countries let’s say, there are a few things going on. One of them is they tend to be more prepared to deploy AI technologies. So whether that’s infrastructure or whether that’s the ability to pay for the investments that have to be made, whether it’s the level of human capital which is more educated and therefore more able to both develop as well as take advantage of these technologies, are a set of foundational things which will make it more possible for AI to be used in a more of the developed world. Edie Lush: 09:37 So what do you think a developing country should do? Michael Chui: 09:42 As long as you have access to connectivity and know we’re seeing more and more conductivity in the developing world. It is possible to actually access lots of computing power as long as you can pay for it. Lots of storage, more data. And in fact these software tools that allow you to do machine learning and do AI, you definitely have to have the infrastructure in place that’s important to invest in. You’d also need to have the human talent. And so how you can both invest and import the type of human talent. And develop that human talent through education, training, etcetera, that creates some of the fundamentals necessary in order to capture value from AI. And then to just being intentional again about uh, investing in ways in which you could actually produce the greatest good. Certainly some of them are going to be around how can you intentionally try to move the needle on the SDG’s. There are different ways to do that of course. Right and if you look at some of the prosperity metrics, you know, some of those things are going to be how do you improve the economy as well. Edie Lush: 10:39 Let me read from the report where you say that job disruption, breakup of old business models and other negative externalities may create the risk of a societal backlash against AI that could limit the full potential anticipated from these technologies. What do you think this backlash might look like? Michael Chui: 11:00 It’s worth reflecting on the fact that you know, through any of these technology enabled changes through history, it’s actually been true that they do cause disruption, difficulty and real challenge for people. And I don’t think we should ignore or sugarcoat that. We hear people make fun of the Luddites, right? When the stocking loom was there. When you think, oh, these are the people who trying to hold back progress, but in some ways the Ludditews weren’t wrong. During that time period. In fact, significant populations actually saw their income stagnate for decades. Their concerns were real. Edie Lush: 11:33 I do love the comparison with the Luddites. They were very effective at their time, smashing machines that were taking their jobs. But imagine if they had Twitter. Today, political movements move between the first tool and the physical world seamlessly and nearly immediately. In fact, the UN report warns about backlash, political opposition that could delay or derail the use of AI, which is why Chui says the disruptions must be anticipated and addressed. Michael Chui: 12:03 Some of the impact will be on workers and I think a lot of workers will have to change what they do over time. Every worker does a whole bunch of different activities and so oftentimes you know, it’s very unlikely that you could actually drop in an AI system and it will do everything that a person did in their job. More likely what happens is individual activities, that someone did in their job, potentially are either done by or enhanced by these AI technologies and that’s what we’ve seen in history as well. There’s a great planet money podcast about, you know, the invention of the spreadsheet for instance. Right, and you know everyone who uses spreadsheet now, their job titles existed before. They’re just doing different things. And what that means is that individual workers will have to have more digital skills, more data skills, be able to understand, you know, work side by side with machines. Every worker I think will increasingly need to be able to use or leverage this technology in in their roles. I think one of the grand challenges for the next couple of decades as a result of these technologies, whether it’s at the sub occupation level or literally at displacing people right out of their role is how do we help transition people? At a very large scale for one set of jobs occupations to other ones. And some of that is a technical question about retraining. Some of it is an economic question about how do we actually allow people to support themselves and their families, potentially as they’re spending time trying to train. This question of diversity and inclusion takes a few related forms. One is, as a friend of mine says, you know, the populations of software engineers, data scientists is often overly male and pale and so that population developing the systems can have blind spots in terms of the systems that they create, that really should be addressed. There was a story that hit the headlines recently, where a tech company was trying to use a system to identify from resume screening who were the most likely to succeed within the organization and they used data around the performance of their existing employees in order to say, well look, maybe you know, the system can extract the characteristics of people who are higher up in the organization who have been more successful in the organization. But what that embedded in that data was gender bias. And in fact, you know there were more males, you know, higher up in the organization and so as a result of that data, you actually saw biases in the system that was there by training. And so if you look at all of these things, I think there are real challenges both in the diversity and inclusion of the people developing the systems as well as the data that’s being used to train them. Claudia R E: 14:41 If you want to find that report, check out our website for a link. When we come back from the break, we’re going to talk about inclusion in a way you may not be used to. Globally, half the world isn’t really included yet, according to a sophisticated digital thinker, Rosemary Leith of the worldwide Web Foundation. But first let’s hear from another very cool woman from Mastercard, the sponsor of season two of the Global GoalsCast. Jennifer R: 15:13 My name is Jennifer Rademaker and I’m the executive vice president of Global Customer Delivery at Mastercard. I am also the financial inclusion executive sponsor for North America in our business. Edie Lush: 15:29 What does that mean? Jennifer R: 15:30 That’s my side Gig. I raised my hand to be the internal champion in North America of the work that we’re doing in inclusive growth, reaching the citizens in, in North America who are struggling financially. We decided that we really wanted to do a pulse check to really learn what some of the challenges were that the American consumer was facing. We went out to Atlanta and Columbus, Ohio, and we interviewed a whole bunch of consumers that were participating in the Gig economy. Griffith works at a medical industry startup. Because it’s a startup and he’s one of the principlas, he doesn’t earn any money in this startup, but while he pursues this medical startup, he’s got to patch together his income. And so Griffith works three different gigs. He drives a limo, he does package delivery, and then he is a pub trivia host. He’s got a very complicated situation in terms of income, but he has met that challenge through a very complicated budgeting process using envelopes. So Griffith has about 15 different paper envelopes, one for each outgoing expense. So, he’s got an envelope for his, his cell phone bill. He’s got an envelope for his rent. He’s got an envelope for food, he’s got an envelope for healthcare, etcetera, right? And he knows, you know, how much he needs to fill each envelope and he keeps track of how full the envelope is with a little yellow post it on the outside of each envelope. So anyway, when we met Griffith and we saw all these envelopes, I thought, uh, there’s gotta be a better way to do this. Edie Lush: 17:19 I asked Jennifer what Mastercard is doing to help people like Griffith. Jennifer R: 17:23 We have an APP that we’ve been piloting that allows consumers to track multiple sources of income. We’re piloting this, for example, with care.com. So, the care.com workers can track what money they’re earning through the care.com platform and then it allows them to allocate, the money that comes in to different virtual envelopes to save for the fixed expenses that they will have later in the month. Claudia R E: 18:01 Welcome back. Jennifer will join us later to share another story of a real person whose experience helped shape Mastercard’s products. Edie, one thing I notice in your conversation is that you cannot really separate the discussion of artificial intelligence from the broader topic of the Internet and the worldwide web. The web is where people will find the software to power AI and the data to train intelligent machines. Edie Lush: 18:32 Exactly. If you can’t even get on the Internet, you can’t begin to use these technologies, which is why I spoke to Rosemary Leith, the cofounder of the Worldwide Web Foundation. Edie Lush: 20:13 Cutting the cost of data sounds kind of esoteric. It’s a lot easier to imagine through some of the specific suggestions that Rosemary made, like building mobile phone mast, which several telecoms then share; or encouraging smaller Internet providers and even community networks and building more libraries, school and community centers where everyone can get online. Rosemary Leith: 20:36 One thing I think a lot about is gender exclusion. There really is a stark digital gender divide. We’re never going to get close to the universal access as long as women continue to lag behind men in access and use. What’s required are targeted solutions to improve access for women. That includes subsidies for devices and internet plans and skills and training. Edie Lush: 21:04 We’ve talked about this digital gender gap in earlier episodes Claudia, remember that family of 16 people in Afghanistan in our episode last season about vaccines and trust? New Speaker: 21:15 Oh yeah. Edie Lush: 21:15 The only person who had a mobile phone was the grandfather. That’s what Rosemary Leith is talking about. That’s why men are 25% more likely to have digital access than women. So, let’s look at that question about web access. Most people I know probably don’t realize that half the world isn’t even on the worldwide web, is addressing that a necessary precondition to the rest of the inclusion conversation? Rosemary Leith: 21:45 We need to speed up the rate at which people are coming online. We need to remove the barriers to affordability and we need to ensure that markets for data remain open and compatitive. We need to make sure that those who are traditionally excluded: women, poor people and those living in rural areas are able to get online and we need to make sure people have digital literacy skills necessary to use this digital technology. As a majority of the global population comes online, the web population inevitably becomes more international and more diverse. So it’s important that these people are able to be creators as well as the consumers of the web so that the web’s content is as diverse as its users. Claudia R E: 22:36 That seems like a good point to go back to our AI expert in Africa. Here we give you Abdigani Diriye from IBM. Abdigani Diriye: 22:43 We don’t suffer the same legacy systems that a number of countries face, which really allows us to come up with new ways of addressing problems. So, one project that my colleagues and I have been working on is figuring out how we can go about profiling individuals based on non alternative data. So you can think of this as data that maybe is on social media or on your phone to enable people to not just create an identity for themselves but also access financial services. So this type of technology has been used to extend credit to tens of millions of people on the continent. So this is technology that in a lot of continents wouldn’t be deployed simply because there are legacy systems in place. Edie Lush: 23:36 Some people in the global north might be uneasy about scraping Facebook to establish credit ratings. But Natalie gave us an example of a project in Africa that’s about to move to the US. Nathalie M: 23:47 In Rwanda, for example, the Zipline was able to stay luck. We’re pilot a drone for blood and medical supplies to be able to reach the remotest parts of the country and remote hospitals where the rodes were not working well. And so they were able to scale that up. So they scaled up to one country, it didn’t work and they scaled up to another country, it worked. So they went from Rwanda, first country they went to, it didn’t work because of regulation, because of slowness of government. Where was that? That you’re going to get me into trouble, but that’s Tanzania. Nathalie M: 24:16 So they want to Tanzania, it didn’t work out. They now are in Ghana and they have actually, what we call reverse innovation. They’ve actually gone back to the US. I believe they’ve already started some work in some parts of the US. Uh, so I think there are absolute definite opportunities. Claudia R E: 24:49 Which is always a good thing. Abdigani Diriye: 24:51 There currently is one project that is running at the lab called ‘Kenya RAPID’ And it stands for Kenya’s arid semi arid lands program and the objective of this program is to enable better access to data in regions that have traditionally suffered from droughts. So we’ve been deploying this and testing this in northern Kenya with several counties. And the just of the technology that we’ve developed is a water management platform that aggregates IOT data and is able to identify when a particular borehole is likely to fail. So that would allow county offices in the region to act ahead of time and address those mechanical issues. We’re also leveraging this data to help planning, so they’re able to identify and plan for the year ahead in terms of how much water they’re citizens and the wildlife around them would need. So this program has been running for about three years. Also undertaking a project that now tries to take what we’ve been doing here in Africa and reverse that and take it to the west. So there’s a project in California that tries to apply a lot of the techniques in the Kenya RAPID Project and leverage our water management platform to try and address the problem of water scarcity in California. So that’s a proud moment for us because not only does it show that our technology is being tested and leveraged, but also it can not only address Africa’s problems, but the problems facing the whole world. Claudia R E: 26:35 Local people applying their knowledge to local issues. It is time for wrap. You usually just get Edie and I, witty, smart, and even sometimes well informed; but in this episode we want to try something very special. Someone who actually knows what he’s talking about and leading it. He’s a good friend and a great talent. His name is Chris Fabian, Senior Advisor on Innovation to the Executive Director of UNICEF. Welcome Chris. Chris Fabian: 27:08 Hi Claudia. Thanks so much. Claudia R E: 27:09 You’re all the way from Geneva, right? Chris Fabian: 27:11 Yeah, I’ve just landed here, um, actually to talk about issues of artificial intelligence and connectivity, so the timing couldn’t be better. Edie Lush: 27:18 What is UNICEF doing to be involved in this debate? Claudia R E: 27:21 UNICEF has been involved in technology and looking at how we can use technology to serve children better for many years. And it seems to us as we’re entering this world of new data and new algorithms that can do things at increasingly accelerated speeds, that we have an opportunity to take advantage of them and use them to do things like understand where nutrition might be a problem or where after an emergency we need to send our disaster supplies. I’ll give you a really clear example in my mind of an opportunity, which is that during the recent Zika crisis in central and South America, we were able to start using data from a bunch of different companies, data about where people were moving and what type of phones they were using and how and use that to calculate the risks of exposure to this disease. And that was something that was previously impossible. We were able to do in real time what would normally take months or even years to do with paper surveys. And you can imagine doing the same thing during the Ebola response. And in fact we did start getting data from network operators in West Africa that allowed us to see where people were moving and then where the disease was moving. But the problem is that while it’s easy to apply those techniques in a very developed area with a lot of connectivity in Geneva, or in New York, if you’re looking at eastern DR Congo in the Far East, there’s very, very little signal. And so we have a responsibility to make sure that we’re getting that data and that we’re working with companies in new ways. Claudia R E: 28:39 One of the big red flags that I have is how AI particularly could accent with exclusion. Edie Lush: 28:57 I think Michael Chui called a male and Pale. Chris Fabian: 29:00 There you go. I’ll steal that. You know, four out of five jobs that will be lost due to automation will be jobs that women hold. And that’s because the automation is automating these things that are at the furthest removed from a densely packed urban environment. And it’s just augmenting and reinforcing the bias that we see already. And that’s really troubling. That only thing that I mean I see as a very basic pointer is that we have to develop the technology and the skills everywhere. It can’t just be the domain of a few cities, a few countries, or a few types of people. And in order to develop artificial intelligence and the technologies around it, you need connectivity. And we live in a world where there are huge gaps in connectivity for communities and for people. And not only do they not have access to the right tools for them, there’s just zero kilobytes at all. And so another thing that I’m very excited to be discussing here in Geneva over the next few days is how we can start looking at creating that global connectivity and whether it’s the, the local mesh networks that we heard about earlier or just making sure that we can do advanced market commitments in market shaping with big connectivity budgets. Edie Lush: 30:05 Wait. What’s a mesh network? Chris Fabian: 30:05 So a mesh network is this i-, I like it because it just sort of esoteric and anarchist vision of the Internet, which I approve of in in some deep personal sense. But a Mesh network, you can think about it like a little mini Internet, an Internet where people are connected to each other dynamically, where they don’t have to connect necessarily to the big internet, but you could have a mesh network for your village or if you’re on a boat, you can have everybody sharing the same small set of information and then eventually when you connect to the big internet you can share back and forth, but it gives you much of the capacity, like a local library or a local cache of the internet and those types of solutions are being developed in places where you don’t necessarily have the big connectivity providers coming in. Claudia R E: 30:46 I was just coming back yesterday from China and I went to visit with my children and my husband an AI accelerator, the largest actually in Shanghai, of, a set up by a guy called Kai-Fung Lee, who, uh, ran Google and it used to be, you know, Microsoft. He did his PHD on artificial intelligence 20 years ago and was really interesting to have a sense of how China has got a plan for AI and is committed AI development at not only at the governmental level but also at the foreign affairs label because they are also heavily investing in Africa in order to develop that. A red flag that I got from there, is that how we will have two parallel worlds, where you have China having a set of data and developing artificial intelligence with no connection to the West for example. Chris Fabian: 31:36 When I talked to Kai-Fu in New York a few months ago, he was also talking about these two worlds and I think that it really comes down to the need to develop models and algorithms and all of the kind of funny complex math that you can put on this data in a way that’s open and public and principle based and that can be done regardless of where that’s being, where it’s being developed and it’s important for many reasons. I’ll just give you like maybe two examples of where we see this having a huge potential. The ability to apply complicated math to sort of large, large amounts of data. One is in the space of education and clearly whether it’s in western China or east Africa or anywhere else in the world, the ability to provide a kid with the right material at the right time and have them interact with it individually is what differentiates a good learning experience from a bad one, among many other things. And the ability to use data and understand what’s needed and when is extremely powerful. One other example is in the space of identity, we’re seeing face recognition now increasingly ubiquitously used through airports across the world and that relies on machine learning, and we know that if there’s bias in there, there’s a problem. And if there are algorithms that can’t see people of certain races, that’s a problem. But that same technology is something that we’re using to detect schools. So in the same way that you can detect a face and an image of a lot of people, we can pull a school out of a satellite image for example, in, in Liberia where we can see through machine learning where schools are. And that lets us understand where to send equipment, supplies, material and teachers in a way that we wouldn’t if we didn’t have that data. So, I think Kai-Fu is correct. There is a big danger of two worlds. I’m not sure that those two worlds are China and the rest of the world. I think they’re very clearly the world of the wealthy and the world of the poor. Without connectivity, the whole SDG circle with all the different pieces on the side, that whole thing is missing something in the middle. And it is, there’s a hole in it. And if we don’t connect young people to access to information and opportunity to learn maths, English, literature, whatever, they cannot produce the right data and the right models for AI. And so to me that’s sort of foundational, is making sure that opportunity is spread equally. Uh, which which it isn’t right now. If you look at the map of broadband connectivity and good connectivity, it’s exactly the opposite of the map of high school dropouts where there is connectivity, there are fewer dropouts. We know that connectivity provides access to opportunity and choice and there are a lot of scary things on the Internet too, but fundamentally if we don’t have a diverse set of users and creators, programmers making this stuff, we’re going to end up in a world that’s even more separated than it is now and that’s a chilling potential future. Claudia R E: 34:12 Thank you so much Chris Fabian, Senior Advisor in Innovation to the Executive Director at UNICEF for being here with us. Chris Fabian: 34:19 Thanks, both of you. It’s really been a pleasure and it’s been a lot of fun as well. Before I go, I wanted to give the audience a few facts, really three of them so that they can look smart in front of the mother in law, father in law or whoever else at dinner and also three actions they can take to learn a bit more about artificial intelligence. The first fun fact, which will also make you sound a bit pedantic, is that you can keep repeating, there’s no such thing as true artificial intelligence, there’s a lot of complicated math on even more big data, but it’s not yet in the realm of science fiction, not yet. The second fact is that governments are increasingly creating ministers of artificial intelligence or other roles at that level, to engage with companies and technology makers even better and if governments are starting to set up these types of very serious engagements, it would probably do us well to follow along. Speaker 14: 35:11 And the third fun fact, well this one’s not so fun, but something to remember is that for all the benefits of automation and artificial intelligence, they will take away four jobs from women for every one job that’s automated away from a man. I also wanted to give you three things to do to learn a little bit more. First of all, please, if you haven’t signed up for Finland’s online course on artificial intelligence, it’s called ‘Elements of AI’ and you can find it through a quick Google search. Second, come and follow us and our team online at UNICEF Innovate. You can find us on Twitter, on Instagram and elsewhere on the Internet. And finally if you’d like a bit more of a thoughtful take on some of the effects of artificial intelligence on the world’s poorest people, please take a read of Virginia Eubanks book ‘Automating Inequality’, which is available in print or on a kindle edition. Thanks a lot. It’s really been a pleasure and I’m happy to have been able to share those tidbits of where to look next and look forward to talking again in the future. 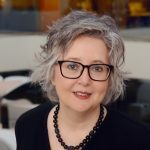 Claudia R E: 36:16 And before we go, let’s hear the second half of Edie’s conversation with Jennifer Rademaker, Executive Vice President of Global Customer Delivery at Mastercard. In this one we will hear a story about another one of the people making their leading via the gig economy and how Mastercard is helping people manage the challenges that income stream brings. Jennifer R: 36:43 Shelly lives in Columbus, Ohio. She is very well educated. She has a masters in journalism from NYU, but she lost her job a couple of years ago and so she and her husband and her small three year old daughter had to move back in with her parents. Shelly realized pretty quickly that somebody in the family needed to have a more formal employment so that they could get healthcare benefits because of the little girl. So Shelly works a compressed night shift on the weekends at Amazon and she does that because Amazon has great benefits for things like health care. And so she works that job to get the health care benefits and then she drives for Uber during the rest of the week while her husband is at home with the daughter. And then when she’s at home, her husband drives for Uber as well. And he does contract work laying floors and so they’ve stitched together this quilt of income if you will. But it’s, it’s sort of a fragile situation and if you think about their, their home life, it’s not easy. Shelly and her husband never get time together because one of them is always sort of trading off looking after the daughter and they’re making just enough to get by. But thinking about Shelly and how she manages her time and how does Shelly get any joy in her life? Edie Lush: 38:15 What products come to mind when you think about Shelly that helped her? Jennifer R: 38:19 It’s really the just-in-time payment because her Amazon work is on a paycheck, so she has some sort of regular cadence of income there, but if she wants to buy birthday presents for her daughter and there’s an extra expense for her, being able to draw down the money when she needs it and not have to wait for the Amazon check to come through was really important. The other thing that has really been sparked by Shelly, we have an educational program that we offer free to community partners around the United States called ‘Master Your Card’. What we started to think a lot about is educating consumers on their rights and how to navigate this new world of finances because Shelly’s real cry for help was no education, “I got no advice that my parents ever gave me that prepared me for the financial situation that I’m in right now”, but you know, certainly we are thinking through the kinds of educational tools that consumers might need to help them have the skills to succeed in this new paradigm. Edie Lush: 39:35 Thanks to Jennifer Rademaker and Mastercard for sharing those stories with us and to the rest of our guests in this episode, Chris Fabian especially for joining us on the wrap, you can find out more about all of them on our website: globaloalscast.org and we’re going to invite you once again to like us and subscribe wherever you listen and to follow us on every single form of social media at Global GoalsCast. I’m Edie Lush and I’m Claudia Romo Edelman. Today’s April’s fool, but we’re not fooling you, we will see you next time.